Town Pharmacy, Great Yarmouth, is your local independent chemist in centre of town, with an extended hours pharmacy service serving the local community and visitors to the town. On arrival in Great Yarmouth follow signs for the Town Centre. 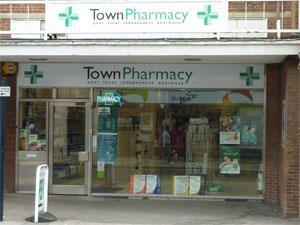 Town Pharmacy is located on King Street, near to the central Market Place with plenty of convenient parking nearby.